All D'Youville alumni, friends and donors receive a complimentary copy of our D'Mensions Magazine which is published twice a year. Read our new D'Mensions magazine in InDesign Viewer. D'Mensions is published online in PDF format; download and install the free Adobe Acrobat Reader to view it. This issue includes undergraduate & graduate commencement celebration, honors convocation and more! 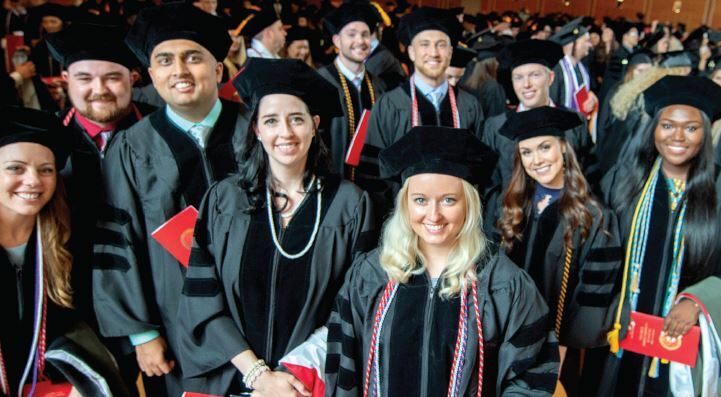 This issue includes the inauguration and celebration of D'Youville's 15th president, Lorrie A. Clemo, PhD., Reunion Weekend and more! This issue includes Laps for Limbs, Commencement Weekend, Day of Giving, Presidential Salons and more! 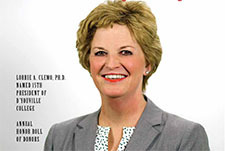 This issue includes the naming of D'Youville's new president, Lorrie A. Clemo, PhD., Presidential Scholarships and more! We welcome your comments, suggestions, submissions and letters to the editor via email, dmensions@dyc.edu. Let us know if your address changes by filling out this form.